Love hurts – at least I still have a bruise from the window crank. Window crank? Well, you don’t get central locking and electric windows in a vintage car. Way to early I got picked up last Sunday as the navigator for a friend. 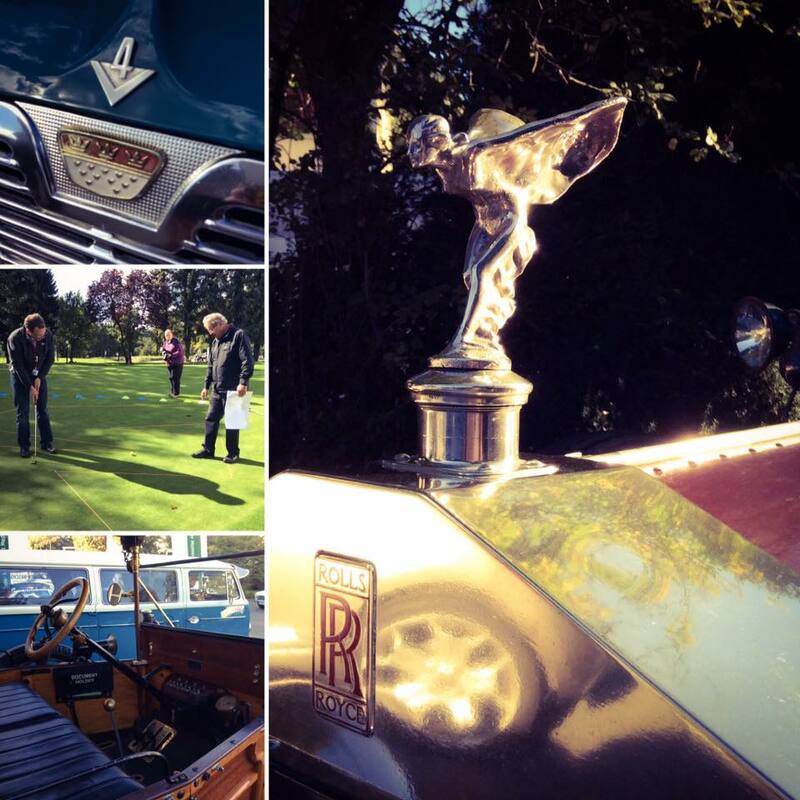 Once a year he takes part in a vintage car rally for the private hospital group he works for. His usual plus one wasn’t available and since I asked, I was taken along. I struggled a bit with the road book, am much, much better with maps. But we only once took a wrong turn – and that was because he followed the others. I had a great day. Weather was perfect. It is autumn, but the leaves are still green. The sun still warms your face while your nape get the first gentle chilly strokes of the cold and dark season. His car is a dream – a 1963 Porsche convertible in Ivory. I was told it is tiny and loud. But it wasn’t. Ok, so I like the faint smell of petrol. The car got loads of compliments, but so did I. My outfit was spot on. Sadly there was no price for best in show. My driver however won a golf voucher with the putting challenge. 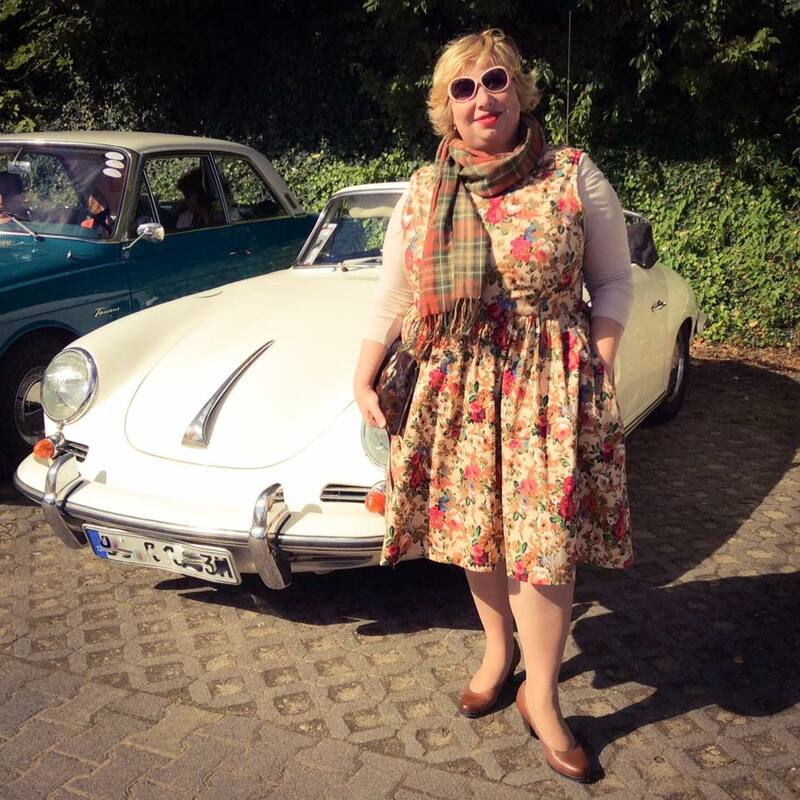 dress: Audrey beige roses, LindyBop – with pockets! Ich hatte einen grossartigen Tag. Das Wetter war perfekt. 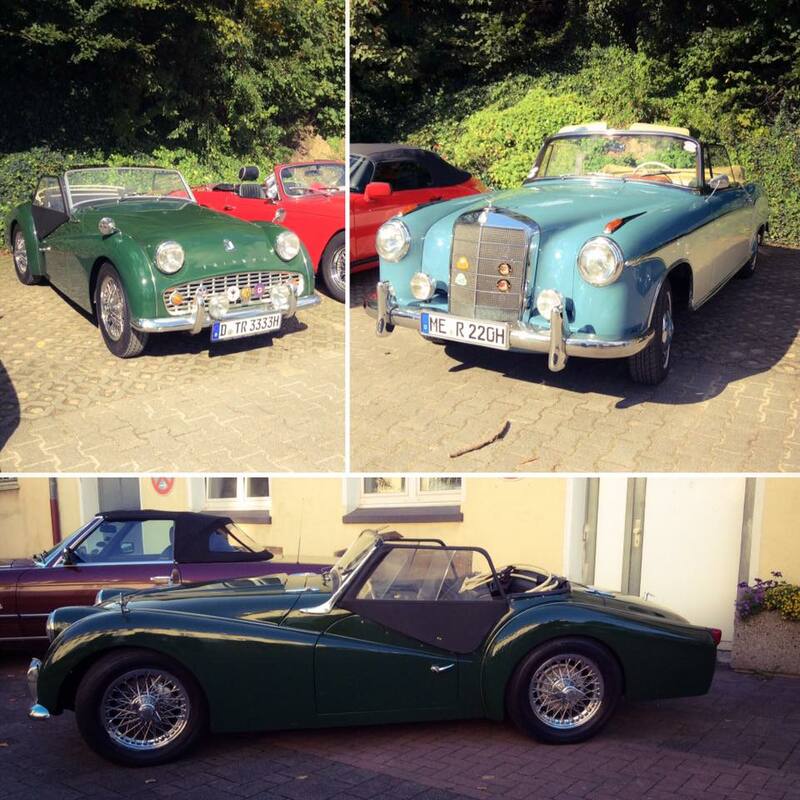 Es gab tolle Autos zu sehen und die Betreuung war top. Es ist Herbst, aber noch sind die Bäume grün. Die Sonne wärmt einem schön das Gesicht, aber die Kälte kriecht einem schon ganz sacht in den Nacken. 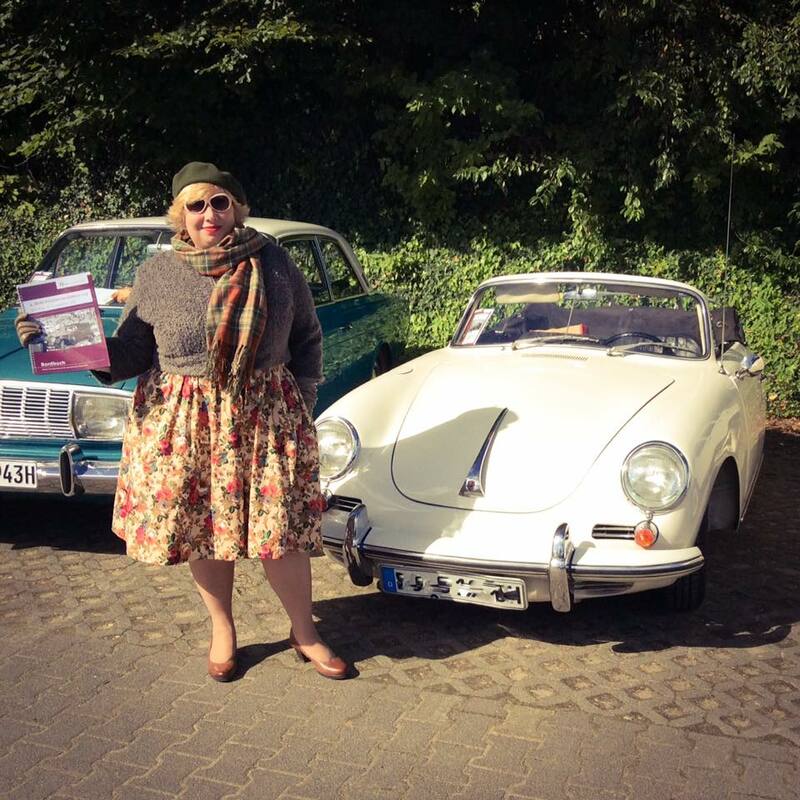 Das Auto ist ein Traum – ein 1963er Porsche Cabrio in Elfenbein. Ich wurde gewarnt es sei laut und eng, fand ich nicht. Und ja, ich mag den leichten Geruch nach Benzin. Das Auto fand viel lobende Beachtung, ich, bzw. mein Outfit aber auch. 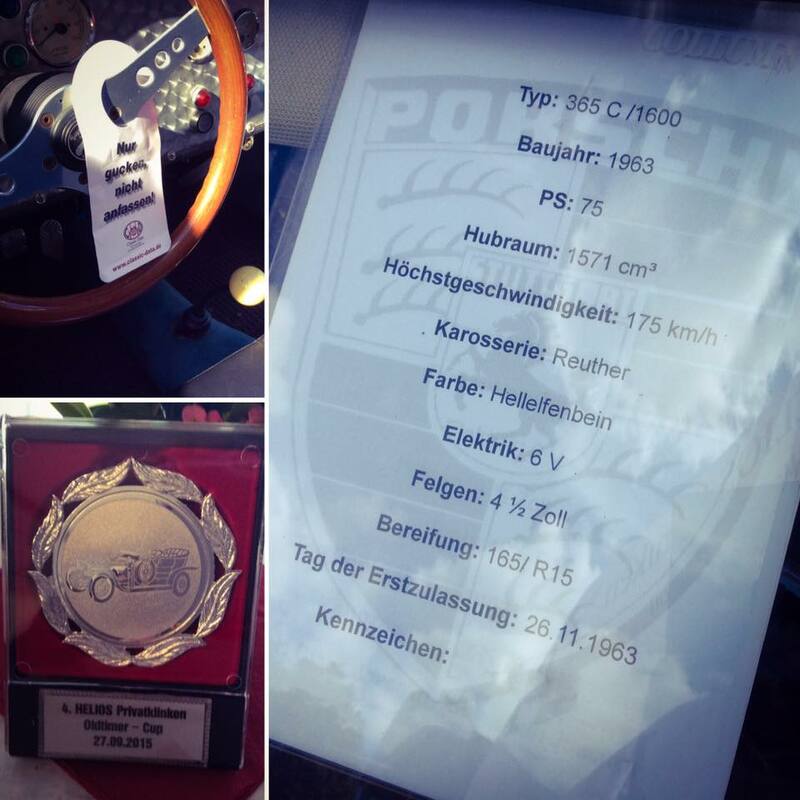 Der Herr Fahrer hat bei der Golf-Challenge einen Preis gewonnen. Für die Teilnahme gab es eine Plakette. Ich hoffe ich darf nächstes Jahr wieder mit!